With the tram line to Affoltern slowly but surely moving towards the spades in the ground stage, VBZ has published on its website a history of previous attempts to build a tram line to Affoltern, as well as looking at the history of the bus line that served this corridor in the interim. 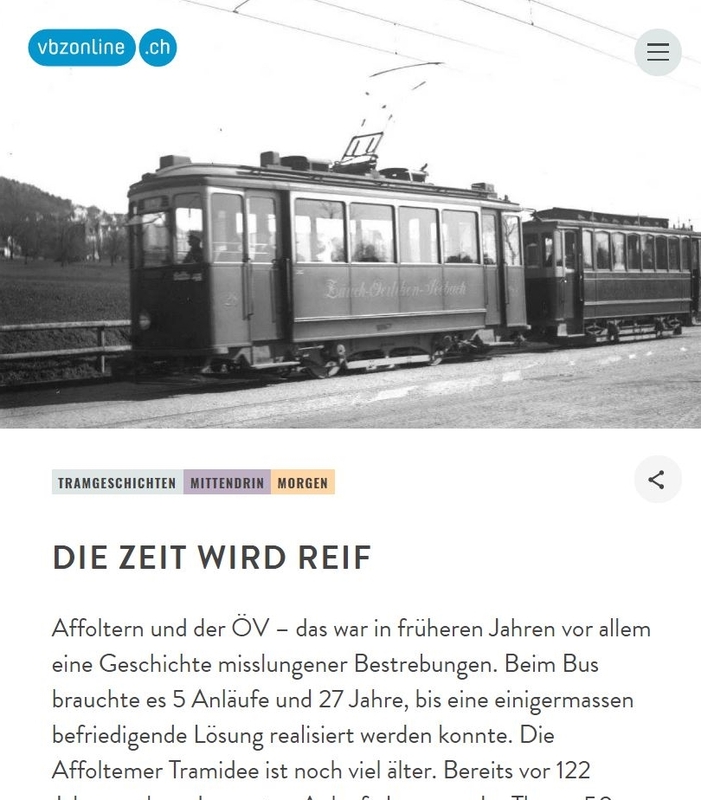 The first attempt to serve Affoltern by tram was in 1903 when the ZOS company applied for powers to build a line from Wallisellen to Regensdorf via Oerlikon and Affoltern. 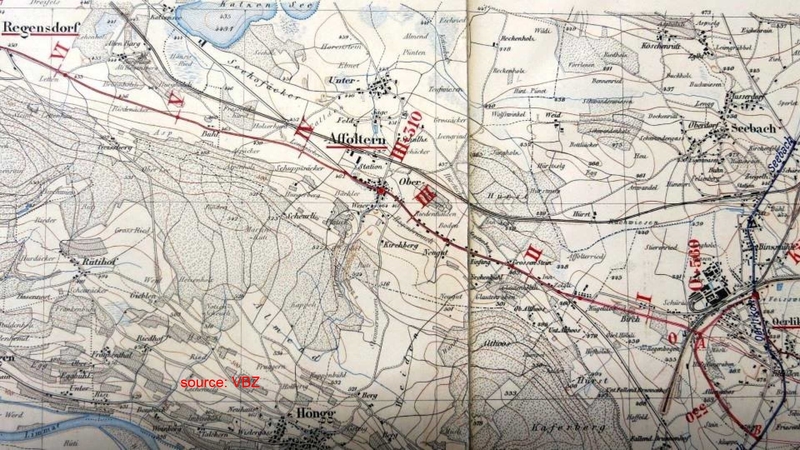 Only the section from Schwamendingen to Oerlikon was actually built, with one of the reasons being that the westward continuation would have involved crossing SBB tracks on the level (the Regensburg bridge not yet having been built). The alignment proposed was only party identical to that of today's project, as it would have connected to the existing system at Oerlikon rather than following Wehntalerstrasse. 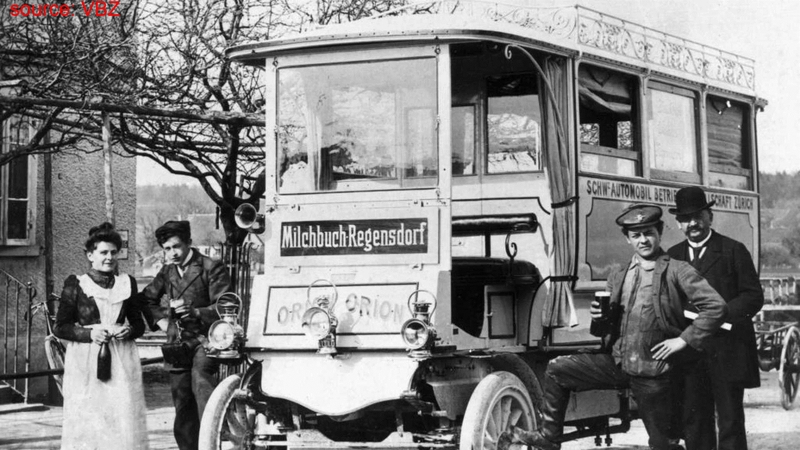 The Oerlikon connection is still being entertained by VBZ as a longer term objective. A second attempt followed in 1910, this time curtailed to Affoltern, but extended at its eastern end to Dübendorf. ZOS's motivation was tactical, as by obtaining the concession they could keep competitor companies from building a similar line. The plans were dropped with the share offer being undersubscribed. 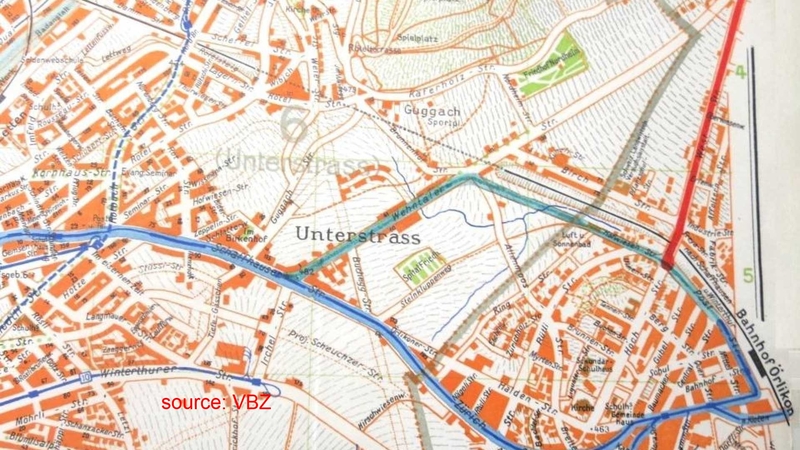 A third attempt in 1928 saw a shortened line to Neuaffoltern, as part of a project also featuring a line in Hofwiesenstrasse. Again, this was to stave off attempts by competition to build a line competing with ZOS's main line from Zürich to Oerlikon. 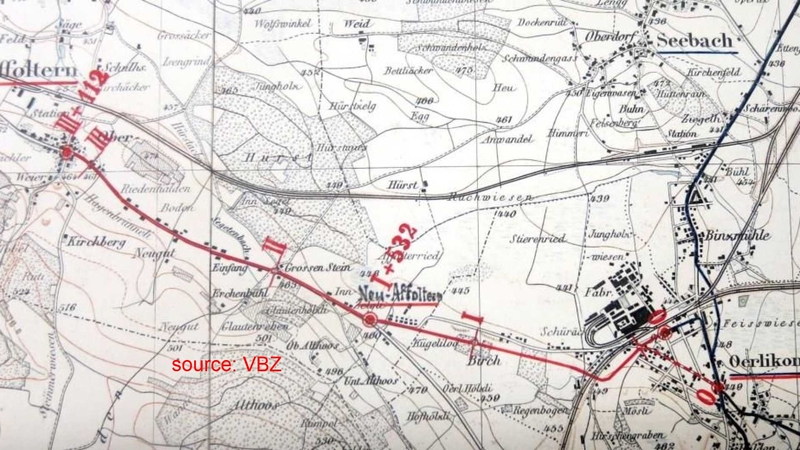 The tactic failed and the city did soon build a new tram line through Hofwiesenstrasse, with the entire ZOS company being bought out by the city not long afterwards. With Affoltern's population growing, a fourth attempt at building a tram was launched in 1946, but this was dropped as trams were falling out of favour at the time. The bus competition moved fatser, with a privately operated bus service commencing in 1905, but closing two months later. Another operator, with ZOS support, provided service from 1910 to 1914. A third abortive attempt followed in 1925. Finally the city inauguarted a bus service in 1932. This was the forerunner of today's service, and was converted to trolleybus in 1975.